17th-century Italy witnessed unparalleled musical experimentation, including the creation and expansion of improvisatory instrumental styles. Three of the many remarkable talents of the era were Domenico Gabrielli, Giovanni Girolamo Kapsberger, and Girolamo Frescobaldi. Domenico Gabrielli’s historical significance is due to his virtuosity on the ‘cello, and as the composer of some of the earliest music for the instrument. His canons, ricercares and sonatas showcase both an advanced performing technique and a keen awareness of the instrument’s sonority. Giovanni Girolamo Kapsberger, nicknamed “Il Tedesco della tiorba” (‘the German of the theorbo’) composed for lute and theorbo, but also in several other genres, to great acclaim. Arguably the most famous of the three was Girolamo Frescobaldi. Although best known for his keyboard works including his magical Fiori musicali (which contains no fewer than three organ masses! ), he penned a toccata which names lute as one of the performance options, his “Toccata per Spinettina sola, over Liuto”. These and other works provide an introduction to the Italian style of the 17th century. 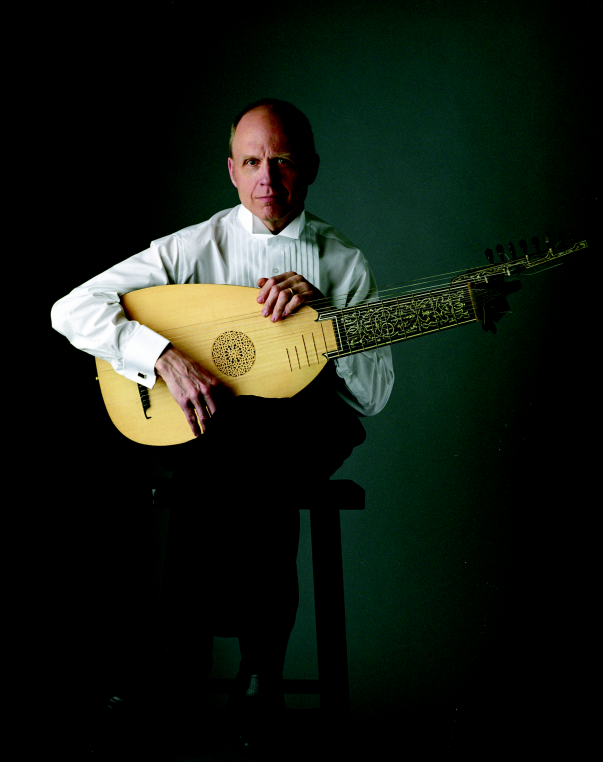 Timothy Burris (lute) has performed widely in Europe and the US, including appearances with world-renowned early music vocalists Derek Lee Ragin and Jennifer Lane. The most recent of his nine recordings includes his own transcription of J.S. Bach’s Ciaccona for solo violin. Lute instructor at the Royal Flemish Conservatory of Music in Antwerp from 1990-96, he is currently on the faculty of the Portland Conservatory of Music and Colby College. The theorbo and archlute used in today’s performance were made for Mr Burris by Richard Berg of Ottawa, modeled on originals by Pietro Railich. Raffael Scheck (‘cello) was born in Freiburg im Breisgau (Germany). 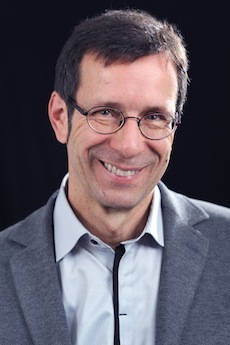 He is Katz Distinguished Teaching Professor of modern European history at Colby College, where he has taught since 1994. Before becoming a historian, he studied cello for a couple of semesters with Claude Starck at the conservatory of Zürich. He has more recently specialized in baroque cello. This is the third of three events leading up to the 6th Portland Conservatory of Music Early Music Festival (27-29 October at Woodford’s Congregational Church).